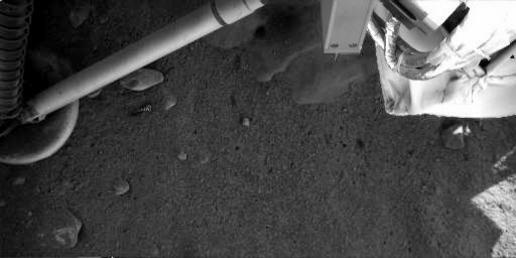 The Mars Phoenix Lander may have taken pictures of a surface of ice instead of just a dinky little rock that might be ice. This is a bit more impressive. The image above is from NASA. 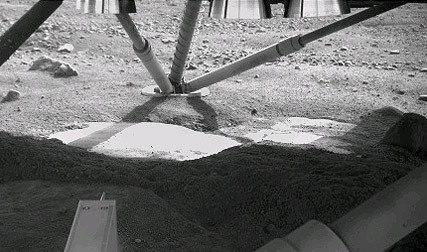 The Mars Phoenix Lander may have taken its first close-up look at ice on Mars. While it's been known for a while that water exists on Mars, this would be the first time humans have been able to take a close look at actual water on Mars, assuming that it's not just some rock that looks like ice. If you want to learn about astronomy, Astronomy Cast is a great podcast to listen to. It's a podcast that introduces the general public to diverse topics in astronomy. It not only explains what we know about astronomy, but how we know about things in astronomy (paraphrasing their slogan). When it first started, I thought I would not learn anything new since most of the topics were those that I had read or heard about before, but I was pleasantly surprised when it turned out that the podcast goes deeper into things without making things difficult.